At 20 years old, this virtual dinosaur among its cloud-based SaaS peers refuses to act its age, and is still offering innovative solutions for its customers. Salesforce Buy-Twenty years ago this month, Salesforce.com (NYSE:CRM) opened for business, and in so many ways, it was a company ahead of its time. 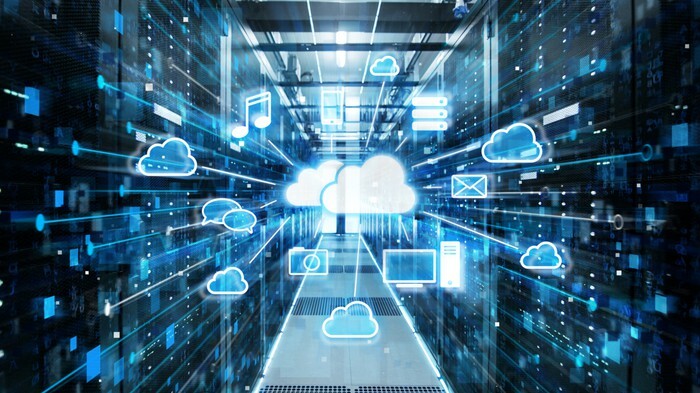 It offered cloud-based solutions for customer relationship management (CRM) before “the cloud” was part of the mainstream lexicon or even tech jargon. The company now sports a $119 billion market cap, achieved in large part by pioneering the software-as-a-service (SaaS) business model. And even after gaining all its wisdom from being around so long, the company still refuses to act its age. In the company’s 2019 fourth-quarter results, revenue rose to $3.6 billion, a 26% increase year over year, and non-GAAP earnings per share grew to $0.70, a 49% increase year over year. The strong growth comes from Salesforce consistently focusing its efforts on helping other companies work through their digital transformations, a process that co-CEO Marc Benioff says is only gaining steam. More than 1.9 billion emails are sent from Marketing Cloud. Its dominance is the direct result of continuing to offer innovative digital solutions, and never getting complacent. Three ways Salesforce is now accomplishing this is through the launch and evolution of its Salesforce Einstein, Salesforce Customer 360, and Salesforce Lightning platforms. Here’s how each of the three contribute to strong top-line growth, 20 years after the company’s founding. Einstein AI is an artificial intelligence assistant that can be applied across Salesforce’s different cloud solutions. According to the company’s annual 10-K filing with the Securities and Exchange Commission, Einstein AI “automatically discovers relevant insights, predicts future behavior, proactively recommends best next actions, and automates tasks.” Introduced in 2016, the growth of the Einstein application has been phenomenal. The platform now makes more than 6 billion predictions, and Einstein Analytics generates 44 million reports daily. In the company’s fourth-quarter conference call, Bret Taylor, Salesforce’s chief product officer, said, “First and foremost, our strategy with Einstein is to improve the value that our customers are getting from our products.” For instance, one of Einstein’s applications Taylor mentioned is on Salesforce’s Commerce Cloud, where it ranks products and offers suggestions that directly lead to increased sales. Einstein also offers voice capabilities to Salesforce’s customers, so that “very soon” — in Taylor’s estimation — all users will be able to update company data using voice commands. The post 3 Reasons Salesforce Is a Buy appeared first on erpinnews.